We are pleased to announce the release of our award winning book on High Altitude Gardening. The second printing of our Alpine Gardening book is now available for $21.95. Please call Park City Nursery at 1-800-649-1363 to purchase this practical guide or order online. 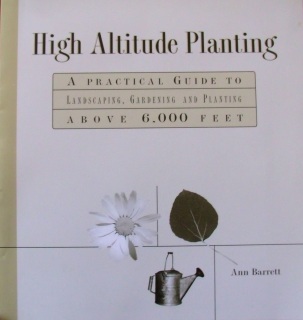 High Altitude Planting A Practical Guide To Landscaping, Gardening and Planting Above 6,000 Feet. 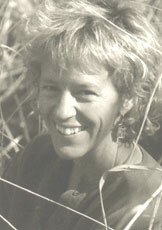 Welcome to the world of HIGH ALTITUDE and HARSH Climate gardening. After years of searching for a realistic reference guide to planting in an unforgiving, short season environment and being asked countless times, "Is there a book on gardening here? ", We decided to write one ourselves. Included are suggestions on How To... do basic planting and design; lists of What to... plant: Trees, Shrubs, Flowers and seed as well as fertilizing, pest detection and control tips; Time references for When to... perform various gardening tasks at elevation. This book ships USPS normal delivery. These are the fundamentals our customers, staff and experience have taught us.